Evidence suggests that remittances play an important role in African culture (remittances continue to be a large component of M-Pesa's mobile money transfer business), with poor households receiving a percentages of their monthly income from both international and domestic remittances. Claire de Lune will tap into this market by targeting customers who are wealthier, employed individuals living in regional capitals with rural family members. These customers will be incentivized through promotions and deals that will allow them to purchase solar lights for rural family members and use the well-established bus routes to ship the lights to their families. 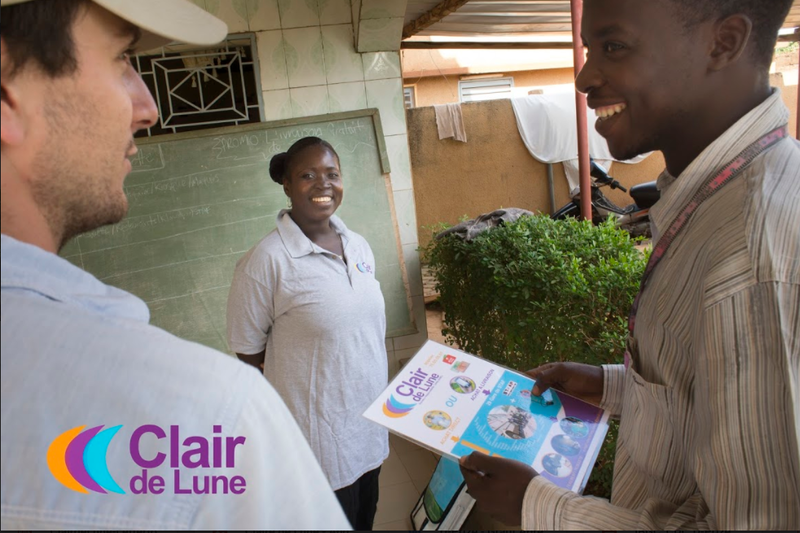 Claire de Lune will employ pull marketing by exposing rural communities to the benefits of the lights in order to build demand. The campaign will revolve around getting poorer, rural households to take action by asking wealthier family members for solar lights sold at bus stations, mirroring the current cash or in-kind remittance distribution network. Claire de Lune will build a distribution network of private bus companies that have an international or national bus route; they will help with logistics, product storage in existing and secure storage facilities, and demonstrate customer value through product integration. Bus stations and rural bust stops will serve as demonstration centers to show the lights to create work of mouth marketing and to show off the product benefits to those customers including cell phone charging, brighter lighting, and long-term affordability.